For a couple of decades now, the West has marveled at the way Russian billionaires go after very attractive – and very young – models, actresses and socialites. So widespread has this practice become that it’s no longer taboo for a 50-year-old to marry a woman that’s barely in her 20s. That shouldn’t be surprising for today’s dating scene, but for the otherwise highly conservative Russian society, it was nothing short of a generational leap. Social networks like Vkontakte and Instagram are now a treasure trove for anyone wanting to have a front-row seat at the reality TV show that the Russian dating scene has become: its ups and downs, exotic travel destinations and shopping sprees. Here are some of the most notable examples of oligarchs and their young flames. If the rumor mill is to be believed, Valentin started dating Elizaveta when she was barely a teenager, at the ripe young age of 14. But despite the 37-year age difference, Ivanov fell over heels for Lisa and married her as soon as she turned 18 years old. The ceremony took place in a scenic castle on France’s Cote d’Azur, and the couple moved to Singapore to live the high life. But this affair did not last long, though, and the couple broke up when Valentin turned 55 –and it seems that it wasn’t Valentin’s age that was the problem. One of Russia’s most recognizable celebrity couples is between oligarch Danilitski and Slava, a famous pop star. While the relationship started back when Danilitski was a married man, the two eventually tied the knot – 28-year age difference be damned. Shortly thereafter, Slava became a mother for the second time, giving birth in 2011 to Antonina Daniletskaya. Unlike some of the other couples on this list, their relationship has been surprisingly scandal-free and has been going strong for over a decade. There is an interesting story about when Elena met Alexander. According to news reports, Elena fell afoul of the law back when she was a 15 years old teenager living in Novosibirsk. Her father stepped in and asked Alexander, who was a member of parliament at the time, to pressure police authorities to drop the charges against her. Not only did Lebedevagree to help, but he lost his head over Elena so much so that they started dating shortly after. Now married and with three children, the happy couple seems to have weathered the 37-year difference much better than other fellow oligarchs. 69-year-old billionaire Oleg Burlakov and twenty-something model and socialite are also enjoying the honeymoon period of their relationship. The oligarch, whose main claim to fame is his $200 million sailing yacht— the largest in the world and named Black Pearl after the ship from the Pirates of the Caribbean film franchise—seems to be under Sofiya’s spell. The two have been recently spotted dining out and shopping together in Moscow, as rumors are flying that Oleg is on the brink of divorcing his wife after a long marriage. 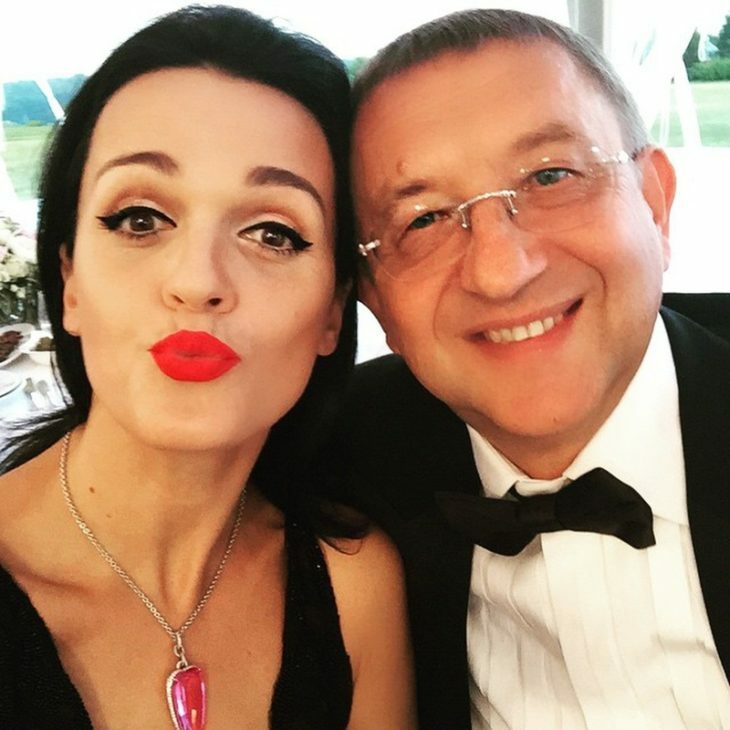 The split could cost him a large chunk of his multibillion-dollar fortune, though current fling Sofiya is reportedly trying to ensure that Oleg keeps most of his riches, including the 106-meter luxury yacht. Vlad Doronin’s real estate empire and dalliances with beautiful ladies like British supermodel Naomi Campbell has him earned the nickname of “Moscow’s Donald Trump”, as well as an international reputation as a player. If the rumors are true, Vlad dated a number of well-known models after breaking up with Naomi, but he has recently started stepping out in Moscow society with a stunning girl named Kristina. At the tender age of 21, Christina was barely older than Vlad’s oldest daughter when she gave birth to his second daughter. Ilona and Nickolai haven’t let an age gap of 24 years—not too bad considering some of the other age differences on this list—put the kibosh on their blooming romance. Ilona is the proud mother of billionaire Nickolai’s sixth and seventh children. 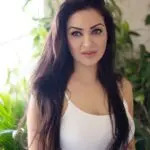 Ilona reportedly looks exactly like Nickolai’s ex-wife, which might explain why they’re dating. On her popular Instagram, Ilona now shares photos of her and Nickolaijet setting from Courchevel to Seychelles. 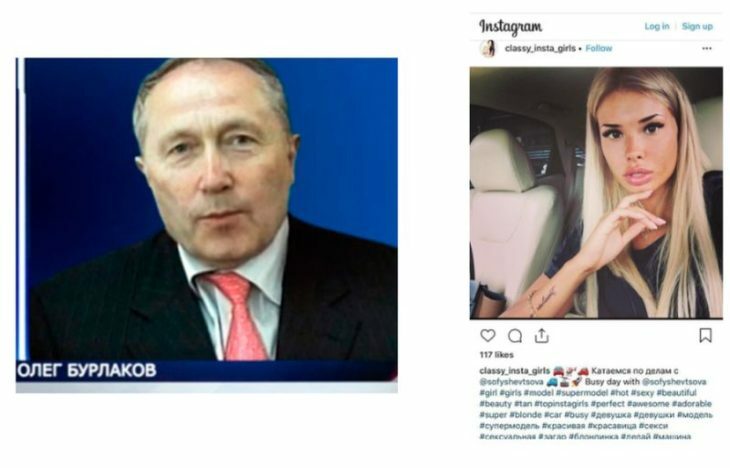 Before she snagged the oligarch, however, Ilona’s Instagram was apparently filled with photos of herself hanging out with young guys.